How many opportunities are missed in a lifetime due to misconceptions? Sad to say, probably hundreds. In fact, you might be missing one right now…at Penn Dental Medicine, Philadelphia’s most esteemed dental clinic. Maybe you’ve heard rumors about dental clinics and never even considered them. Maybe you just stay away from something you don’t quite understand. Either way, we don’t want you to miss this opportunity for quality affordable dental care simply because a limited picture of dental clinics was the only one available to you. 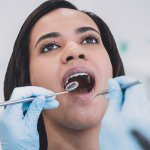 We’ve compiled everything you need to know about dental care at a clinic so that you can be fully equipped to make the decision that best fits you. 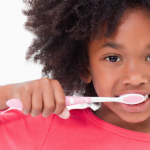 What is a dental clinic? While technically, a dental clinic is any place where dentistry practices are provided, generally when you hear them spoken of it will be referring to the clinics associated with an educational institution. Dental clinics provide dental services to the general public within a quality controlled training setting for students pursuing a degree in dental health. Clinics are usually located at or in close proximity to the university that offers the dental degree and doctorate. Because these facilities are used for training and methods must be 100% current, dental clinics usually house the newest and best tools and technology used within dentistry. Your care will be administered primarily by a student; however, closely watched and guided by the top dentists in the industry. Who can go to a dental clinic? Sometimes confused as an in-house service for university students only, dental clinics are actually open to anyone. Whether you’re young or old, single or a family, clinics at universities offer services to the general public with no discrimination or requirements. Here, a journalist for the Washington Post shares her experience receiving an implant at a dental school. She saved thousands of dollars and had an excellent experience. If you have insurance, check with your provider first to determine their compatibility with the dental clinic of interest. All dental clinics handle insurance payments differently, but at Penn Dental Medicine, we accept payments from most dental insurance providers. 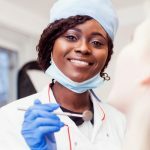 What are the benefits of going to a dental clinic? In a survey from Dentistry IQ, it states that “the costs associated with a dental appointment are the most likely to generate negative comments.” The initial reason most patients choose a dental clinic stems from the affordability of the services. You can realize a deep discount on normally high priced dental procedures. Every service comes at a discount to you, so even a routine cleaning can be accomplished at a fraction of the cost. This is particularly good news for those in the later stages of life. Most retirees lose insurance coverage after retiring (according to a 2010 report fewer than 18% still have health insurance benefits after retiring) and Medicare doesn’t cover cleanings, fillings, and dentures. This leaves many in a difficult spot trying to properly care for their teeth. An affordable dental clinic provides the solution to this problem. When you choose to receive your care through a dental clinic, you gain access to students in the most exciting time of their career. Knowledge is fresh. Concern for their patient’s well-being is primary. They are eager to listen to you as their patient in order to best learn during this final and exciting phase of their schooling. With a strong desire to learn more and perform well, our student doctors are highly motivated to provide you with excellent attention and care. Maybe you haven’t really stopped to realize the behind-the-scenes picture going on in a dental clinic. While you may be treated by a student doctor, your student doctor is being trained and guided by the nation’s top dental professionals. You are literally one step away from the best dentists in the business! Where can I find a dental clinic near me? That’s it! You’re convinced that an affordable dental clinic is the route you want to go, but where do you find one? The Dental Site offers a list of the universities in each state that have a dental school. 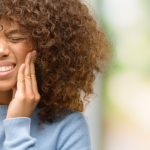 However, if you’re anywhere in the northeast you would benefit from making a trip to University of Pennsylvania School of Dentistry’s dental clinic, Penn Dental Medicine. UPenn’s dental program is one of the top in the nation and offers any dental service you may need, general or specialty. We have dentists in training and on staff covering anything from pediatric dentistry to endodontics (root canal procedures). At Penn Dental Medicine, we are eager to learn more about how to best care for you. Let our well-trained student doctors handle your care with the support and guidance of the top dentists in the nation. For a complete list of the services we offer, visit here. To schedule your initial appointment, call us at 215-898-8965 or visit us online to begin the process. Get to know your affordable dentist today!